Next year will be the 20th anniversary of Mark Barnett taking charge of Perpetual Income & Growth and his 5th anniversary at Edinburgh Investment Trust. The celebrations might be a little muted, however. Their recent performance has been… less than spectacular. Barnett took over both funds from the legendary Neil Woodford and seems to be cut from much the same cloth. They share the same value-focused approach and invest in many of the same companies. True, Woodford’s investing tastes seem to have evolved somewhat in the last few years, but his income-flavoured funds have struggled more than most. As the financial crisis unfolded, Woodford took charge of Edinburgh Investment Trust when Invesco replaced Fidelity as the fund’s manager. 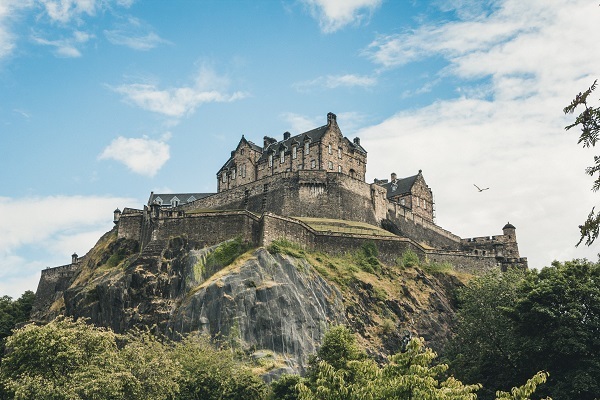 Dating back to 1889, Edinburgh was, and still is, one of the oldest investment trusts around. I was one of those caught up in the enthusiasm. Or, more precisely, my wife was. We decided to invest some of her ISA money into Edinburgh at the end of 2008 and in early 2009. As it turned out, the timing was excellent, although we didn’t get the very bottom. We bought some more in 2010 and in 2012, although the bulk of her money remains in index funds. For several years, everything was fine and dandy. It didn’t take long for the discount to be replaced with a small premium. The shares steadily rose and the dividends were chunky and delicious. The switch from Woodford from Barnett seemed seamless, given their investing similarities. Then there was some kind of vote in the summer of 2016… and the troubles began. The pound sank and it knocked many of the domestic-focused stocks that Barnett favoured for six. He also has a liking for tobacco stocks and they began to feel the effects of the rise of vaping. After years of being stellar performers, their shares begin to head south. There were individual stocks that have had well-publicised major problems, namely Provident Financial, Capita and Thomas Cook. Edinburgh has a portfolio of around 50 stocks, so these had a noticeable impact. You can see the decline in performance below, which is taken from the company’s recent half-year results. The small premium has become a persistent 10% discount, amplifying the relative share price decline. The three-year figures are pretty shocking, with a share price underperformance of nearly 30%. What’s more, the shares trade at a lower price now then they did four years ago. While Edinburgh is not alone in its struggles, other UK equity income funds have mostly performed a little better. Admittedly, the ten-year figures still look very good, although most of the gains were under Woodford and were helped by a relatively high level of gearing. Compared to other UK equity income investment trusts over this time period, Edinburgh is in the middle of the pack. Perpetual Income & Growth is pretty near the bottom, although it has still beaten the market. The last six months haven’t been too bad, but it’s far too short a timeframe to draw any conclusions. The question many investors are asking is whether it’s time to jump ship. Many have already, of course. That 10% discount didn’t appear out of thin air! The board of Edinburgh appear to be sticking by their man (as is the board at Perpetual). They like his conviction-based approach and its consistent application. Barnett points out the relatively low valuation that many of his companies are trading at, and that the market appears to be pricing in steep declines in profits, which he thinks are too pessimistic. I can see his point. You could say that the current market conditions have parallels with 1999/2000. Many old economy stocks were trading for buttons back then. If you didn’t have a .com at the end of your name, investors weren’t interested. Despite the fact that the overall market declined for the next three years, value stocks did very well as their ratings rebounded. I’m not too worried about Brexit here, although some possible outcomes could inflict some short-term damage. However, I am genuinely torn about what to do with this position. It’s not a large one, which has probably made me dither even more. Often I find the process of writing these articles clarifies my thinking about a fund. But I feel no nearer a decision in this case. On one hand, I appreciate that investing styles wax and wane and no fund manager can be expected to beat the market every single year. Barnett’s style is definitely one that tends to have strong and weak periods, both of which can last for a few years. It’s possible we could be towards the tail end of one of those weak periods. The proceeds were redeployed into Mid Wynd and Woodford Patient Capital. No regrets…Mr Barnett does not seem to have the same ‘feel’ as Woodford and is struggling to stay ahead of the market with some disastrous stock picks. I think a lot of investors are becoming more saavy and switching to low cost global index. Congrats on a well-timed exit DIY Investor. If this one does get the nudge then I can see it being replaced by a global tracker, too, probably the one my wife already holds.